Romans 12:12 "Rejoice in our confident hope. Be patient in trouble, and keep on praying." Turning 40 and being "de-conditioned" (Physical therapist's kind way of saying "totally out-of-shape") has brought to light some challenges and insights. 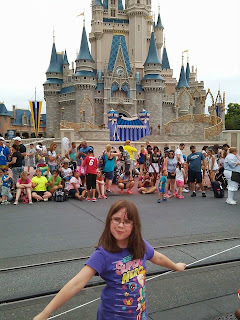 Our trip to Disney World and the beach in June was wonderful. A lot of walking, but wonderful. On the plane ride home I had a hard time getting comfortable. My leg and hip were cramping and sore. I told myself it was just all the walking and the time fighting the sand. After a few weeks, the hip and low back were much more painful. I consulted a doctor and was asked about recent injuries. I could not think of anything. I came home and asked my husband if he could think of anything I did. 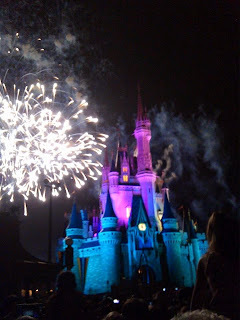 He reminded me that I had picked up our 60-something pound seven-year-old and rested her on my hip during the fireworks at WDW. OH YEAH! I remember a little "pop" in the back area. I was sent to physical therapy. I threw my whole pelvis and sacrum out of alignment, yay! So now I am being "educated" tortured twice a week and being asked to repeat it at home twice a day. It is a time commitment, but I do feel better after/when I do therapy. This is also a wake-up call to take better care of my physical body. But we are not made of our physical bodies alone. Our soul and spirit round us out. That is how I see it in my mind's eye. As a circle with three pieces (kind of like a pie - don't get distracted by pie now). Nurturing just one of the three (body, soul, spirit) alone makes us lopsided. I personally suffer from being a very lopsided circle. More like an amoeba. And depending on the day, even an ugly little amoeba. I tend to forget to balance my focus. I will direct more attention to my spirit, absorbing God's Word and spending time before Him (which is not bad), but when I neglect my physical self, it is not ideal. God created our bodies and has given them to us as a stewardship. How we take care of them is a testament of our respect for Him and His creation (us). I am convicted. I am praying as always for guidance from the Holy Spirit and I am trying to be receptive. I am 40ish! I remember when I thought that was ancient. I am a mom of 4. Currently ages 17, 15, 12 and 8. Three girls and one boy. Hubby is a programmer and ultimate self-professed computer geek. I love clearance racks, bargains and books!